Fill out a short questionnaire, confirm your email address and you’re ready to get started. You can skip the registration process and get started quickly simply by connecting your Facebook account. You must be 18 or older or 13+ with parents approval to join and users from all countries are accepted. It should be noted that residents of the US, UK, and Canada will have the most offers available. Points2Shop rewards vary greatly. Quick and easy activities like viewing ads or signing up for free newsletters will net you a few points, while more time intensive activities like surveys will net you more. In general, you can expect about $1-$3 in points per survey. Other earning options like games and sweepstakes vary greatly. The good news is that you’ll be informed in advance what your reward will be for your participation. You can also earn up to $1.50 for each person you get to join via your referral link. Additionally, you will continue to earn a 15% bonus for any qualifying offers they complete. You can certainly rack up rewards quickly at Points2Shop, but their redemption process is a bit complicated. It’s important to note that, as you might have guessed, you’ll earn points and not straight cash for your participation. One point is the equivalent of one cent on Amazon.com. To apply your points towards Amazon.com purchases, you must find your item through Points2Shop’s website in the “rewards center”. Currently, you can not convert points for cash, but points are as good as cash on Amazon.com. Certain offers, including contests and referrals, do pay straight cash, which you can withdraw via PayPal or other payment processor on demand. With millions of members, Points2Shop handles their customers fairly well. Unlike many sites, it’s simple to open up an email support ticket from your account dashboard. They’ll even give you an estimated response time. The majority of users report reasonably fast and courteous service. There have been some user complaints about sudden account termination. In the past, Points2Shop has been plagued by hackers attempting fraud, so if their system detects anything out of the ordinary it automatically close your account. As long as you are not trying to cheat the system, you should not have any problems with the Points2Shop system. Sudden account closure claims are few and far between, but since the company has endured numerous cyber attacks they are quite vigilant about any dishonest users. Should this happen to you, contact support to rectify the situation. Points2Shop also accepts direct advertisers on their sites, some of which are directly looking for ways to market to users, which includes telemarketing. There have been some user complaints of receiving unwanted calls, so you may want to steer clear of offers that require a phone number to complete. Be advised that while the vast majority of offers on Points2Shop are free, they do offer paid trail offers. With this type of offer, you’ll earn points for trying out a product, but you’ll have to pony up your own money to do so. However, the site makes it very clear to members that these are in fact paid offers and not free of charge. From humble beginnings, Points2Shop has become of the most popular reward sites in the world. Their account dashboard is highly polished and is ideal for keeping all of the offers and surveys you have lined up for you in one place. The site’s pure size and extensive array of ways to earn via surveys, free trials, watching ads, contests, and referral program ensures you’ll never run out of ways to earn. The earning potential here is almost unlimited. Two exceptional aspects at Points2Shop include an outstanding loyalty program and a highly lucrative referral program. The seven-tier loyalty program unlocks higher paying offers and perks the more you participate. The referral program can also be an excellent revenue stream with four levels. Get 15% of your referral’s revenue generated and a $1.50 cash off the bat. 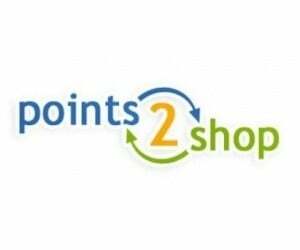 Points2Shop is simply full of options and endless ways to earn. If you’re serious about earning extra cash you should try them out ASAP. The $2.50 sign up bonus doesn’t hurt either! Here’s a summary from the official Points2Shop website. Please write a brief, honest review based on your personal experience with Points2Shop. All reviews will be moderated.